Whether you live in Deerfield Beach, FL, or you’re coming to catch a game at the Gillette Stadium, make sure you have a reliable car. The 2018 Nissan Altima is perfect for drivers who want a sporty, mid-size sedan that’s both slick and safe on the road. Nissan has a reputation for making cars that really stand out from the rest. 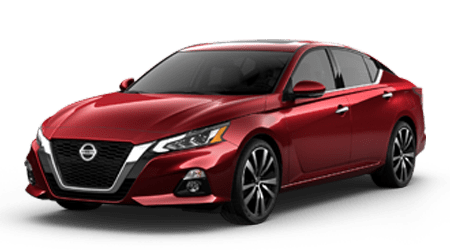 The 2018 Nissan Altima is no exception. The glossy colors and finishes available for this model are some of the best yet, with options like deep pearl blue, gun metallic, brilliant silver, scarlet ember, and storm blue. The exterior design has curves in all the right places, allowing you to take in the entire car with just a single look. Whether you are cruising the roads in Deerfield Beach, FL, or going on vacation, Nissan takes pride in making sure you and your passengers are comfortable. The front seats are both comfortable and useful, with a focus on proper hip placement. Both the front and back seats have Nissan’s standard cloth lining. Blind spots are unavoidable. The 2018 Nissan Altima makes blind spots much smaller, making your ride that much safer. Where there would normally be huge blind spots on a mid-size sedan, the Altima has tiny columns, making the blind spots almost half the size. If you want to take your safety up a notch, you can opt for the addition of blind-spot cameras for a small fee. No matter where you’re going, drive a car with plenty of cargo space. The 14.5 cubic feet of trunk space in the Nissan Altima might not sound like much, but it’s quite a bit compared to sedans of the same size. The trunk is long, giving you lots of space for groceries, camping gear, music equipment, suitcases, and anything else you want to carry with you. While we’re on the topic of space, the back seat is also extremely roomy for a sedan, fitting three adults with all the legroom they need. If you’re on the hunt for a new sedan in or near Deerfield Beach, FL, you should definitely consider buying the 2018 Nissan Altima. Visit us at Performance Nissan and take one of our Altimas for a test drive today.